Nursing is a noble profession through which nurses can make a big difference in the life of others. Nurses are the backbone of the healthcare management system who contributes towards the wellness of the society and prevention of illness. Registered nurse schools in New Jersey focus on closely supervised clinical experience, sound theory and personal development of students. The candidates are prepared for assuming RN role in ever-changing nursing environment. For entry into pre-licensure registered nurse schools, applicants need to complete the following requirements. The minimum required age for RN program program is 18 years. An applicant must hold a General Education Development (GED) certificate or high school diploma. It is essential for every candidate to be fluent in English. Drug test, fingerprint and criminal background check is mandatory to be cleared. A valid photo ID and residency proof should be submitted. One should qualify the pre-entrance test called TEAS (Test of Essential Academic Skills), which is formulated by the specific institutions. Students should submit all the imperative documents as required by the institute in which they are going to take admission. The following pathways will lead you towards a career in RN. Associate Degree in Nursing: It prepares students for entry-level positions in various health care facilities by offering a balanced curriculum which involves courses in general nursing as well as clinical practicum. ADN is a 2-year long course. Bachelor of Science in Nursing: BSN program builds foundation for a successful nursing career by presenting a comprehensive curriculum which consists of classroom lecturers, hands-on program and clinical experiences. It is a 4-year program that is accredited by the New Jersey Board of Nursing. Diploma Course: Diploma in nursing is a one-year program available at many community colleges. Direct Entry MSN Program: It is the perfect gateway for those applicants who wish to work as an RN, but does not hold a nursing degree. It widens your career options and also boosts up your earning potential. Accelerated BSN Degree: The second degree BSN is an innovative program designed for non-nursing baccalaureate degree holders. The duration of this program is 12 months which includes an inclusive coursework and practical sessions. LPN to RN: Those licensed practical nurses, who intend to study further in order to utilize their previously earned credits and experiences, can pursue this degree. It will ameliorate their knowledge, which in turn, expands their nursing career. RN to BSN Program: This program is accredited by the National League for Nursing Accreditation Commission (NLNAC) and approved by the New Jersey State Board of Nursing. It is specifically designed for working RNs, in order to, enhance their skills and enrich their previously earned credits. 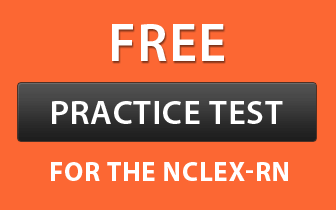 All the above mentioned programs make you eligible to take the NCLEX-RN examination. Master of Science in Nursing: Registered nurses, who need advancement in their career and betterment in their working efficiency, can go for this degree. It equips students with advanced curriculum which prepares nurses for diverse roles to improve the health care sector. Doctor of Nursing Practices (DNP): It is the highest educational degree which focuses on evidence-based education, and it inculcates advanced skills and expertise among nurses for sustaining in the competitive job market. Here is a comprehensive list of accredited institutes in New Jersey that offer diverse RN program programs both at graduate and undergraduate levels. Note: Except Brookdale Community College, Eastern International College, Middlesex County College and Warren County Community College, all above mentioned colleges offer LPN to RN programs.